I took Holly for swimming lessons Monday night. 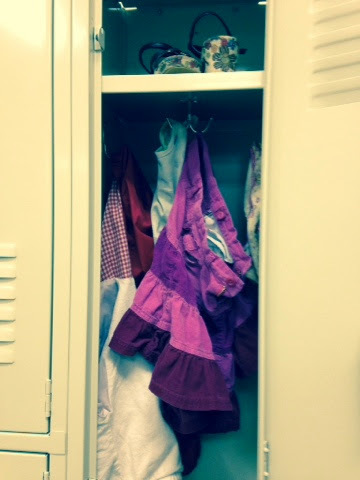 As she was changing she hung up every article of clothing in the locker. I'm sure if she could have figured out how to hang her shoes and socks, she would have. Notice the fancy shoes on the top shelf!